Our product range includes a wide range of pipe clamps, concrete pump pipe clamps and concrete pump clamps. 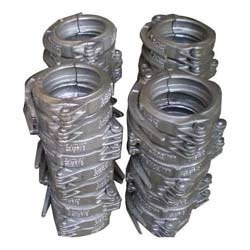 We are engaged in offering a large gamut of Pipe Clamps to the clients. These clamps are precision engineered to ensure the complete safety and reliability. 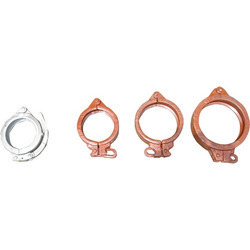 The clamps are available to the clients in a variety of items like metal clamps, hose clamps, exhaust clamps, band clamps, pipe clamps and more. Moreover, these clamps are highly durable and find their usage in various industrial applications. Our clients can avail premium quality Concrete Pump125 DN Clamp - Push Master. These clamps are manufactured with quality raw material in compliance with the defined industry standards. The products are widely used in various industries due to their sturdy construction and durability. Our clients can avail these products in varied specifications as per the requirements of the clients. As a prominent manufacturer of the industry we are engaged in supplying high quality Push Master Concrete Pumps Clamps. These Push Master are widely used in various industries and are manufactured in compliance with the defined industry standards using quality raw material.Our manufacturing facility is well equipped with sophisticated machinery and equipment that assists us in fabricating a quality Push Master clamps.